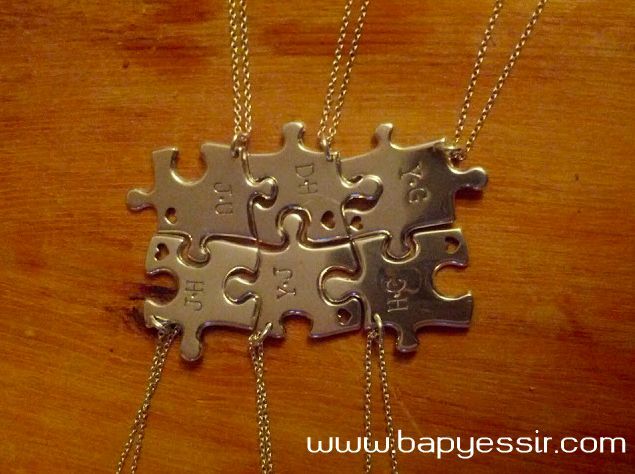 BYS: PROJECT: B.A.P Live On Earth Tour : Personalized Necklaces "Once A Member, Always A Brother"
PROJECT: B.A.P Live On Earth Tour : Personalized Necklaces "Once A Member, Always A Brother"
The necklaces are ready to go! Since Isa & Claire from Mnet couldn't meet on the day of the NYC concert, we will send the necklaces directly to TS Entertainment. The boys received every of our past projects, so we're almost sure that TS staff will give them the necklaces as well! A congratulation message for their achievement. A list of the donors' names along with their country's flag. 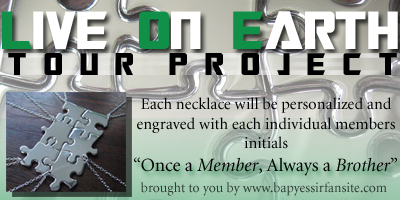 * Please mention in your Email that you are donating for the necklaces project. We accept donations by Paypal, Credit card, Concealed cash and Western Union. [?] 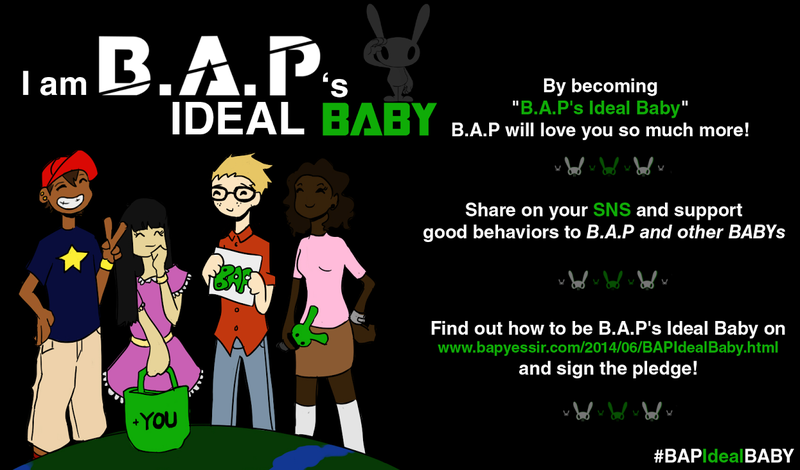 For any questions or inquiries concerning the project > ask.fm/bysfansite. how much do you have already? But! I shall cobtribute in the translation!! "Congratulations, we are proud of you" in Indonesian is "Selama, kita sangat bangga kepada kalian"
I'm kind of broke at the moment, but in Spanish the message will be like " Felicitaciones, Estamos orgullosas de ustedes" but if there are guys in the fansite (I'm new, hahaha) it will be like "Felicitaciones, Estamos orgullosos de ustedes". How can I specify the project I'm donating for ? Do you guys have a link or something ? 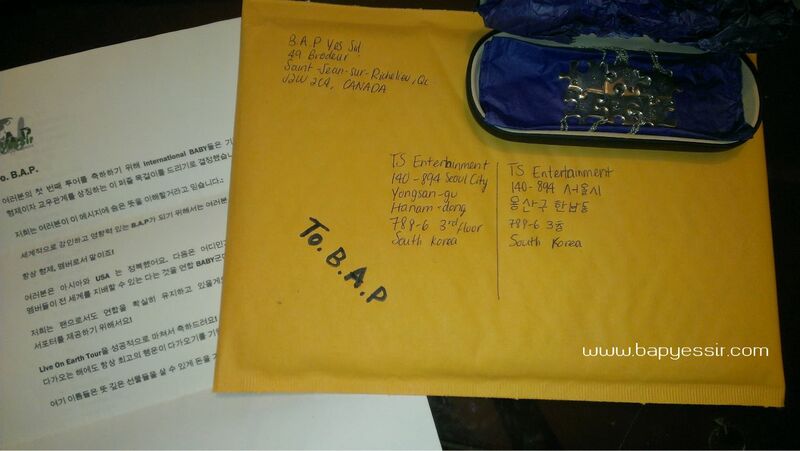 If you donate by Paypal, you can add a notice for us, saying that's for the necklaces project! Great ~ We take note! Guys I donated, have you received it yet ? "Congratulations, we are proud of you" in Chinese is "恭喜， 我们为你骄傲"
"Congratulations, we are proud of you" in Swedish is "Grattis/Gratulerar, vi är stolta över er"
You can use "Grattis" or "Gratulerar", it means exactly the same thing. But I would choose "Gratulerar" since it's a more politely and formally expression. I will try to donate, but my parents will probably say no. Where is the admin that would give this to them and when will they be there next?? Would that be when you guys plan/hope to give it to them??? ah , anw, we say :" Congratulations, we are proud of you" in VietNamese :" Xin chúc mừng , chúng em rất tự hào về các anh" :) I hope it helps! Oh so for the congratulatory message for "Congratulations, we are proud of you"
in Punjabi its "ਓਨ੍ਗ੍ਰਤੁਲਤਿਓਨ੍ਸ ਅਰੇ ਅਰੇ ਪ੍ਰੋਉਦ ਓਫ ਯੋਊ!" and in Hindi "बधाई हो तो हमें गर्व!" Congratulations, we are proud of you in my language "Algérian "
I love to donate but I don't have PayPal ac but it's ok maybe next project k..
'Congratulations ! !we proud of you 'in Malay is....."Tahniah !! Kami sangat bangga dengan kamu BAP !! can we buy those necklaces later? Congratulations in Filipino is "Pagbati" but its really awkward using it. Most Filipinos prefer using the word "congratulations" so you can use "Pagbati!! Ipinagmamalaki namin kayo."